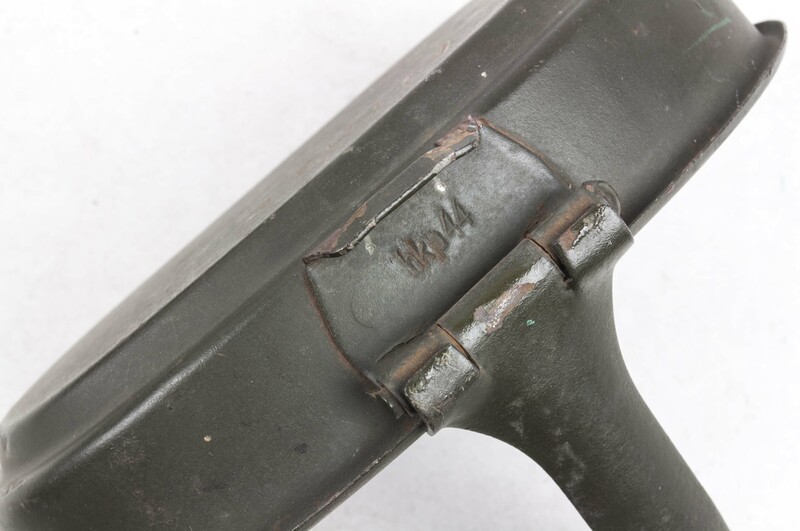 The M31 messkit or “Kochgeschirre M 31 (Alum. 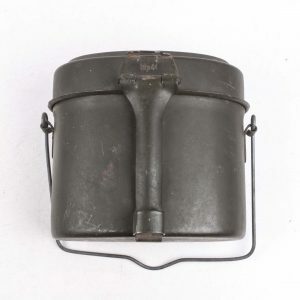 )” was a 1.6 liter capacity cooking pot carried on the left side of the breadbag. 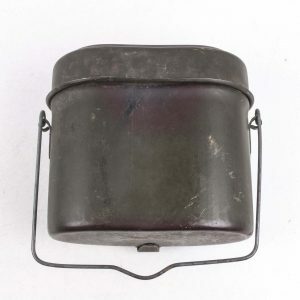 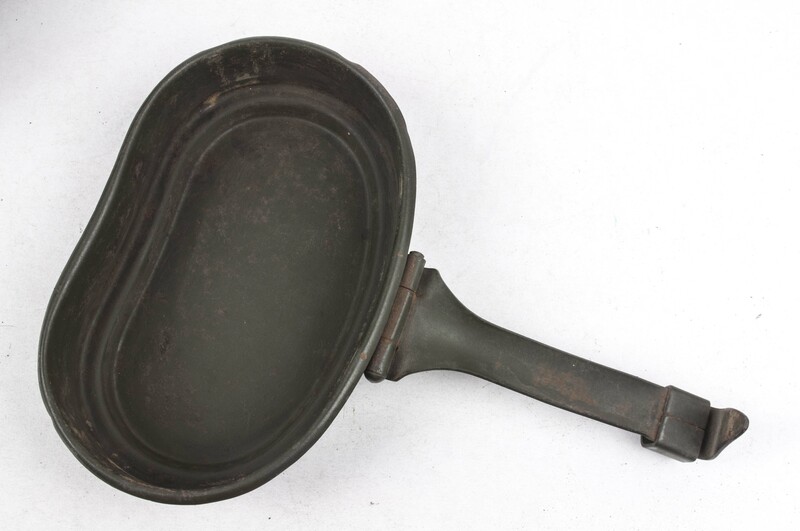 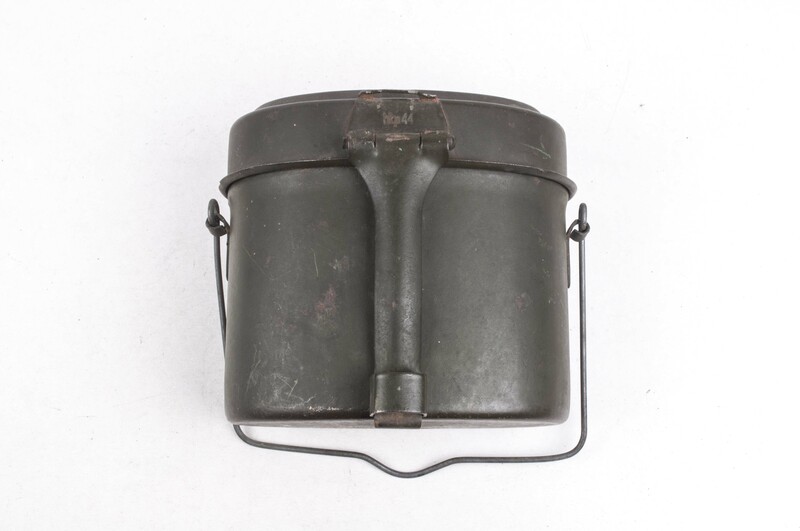 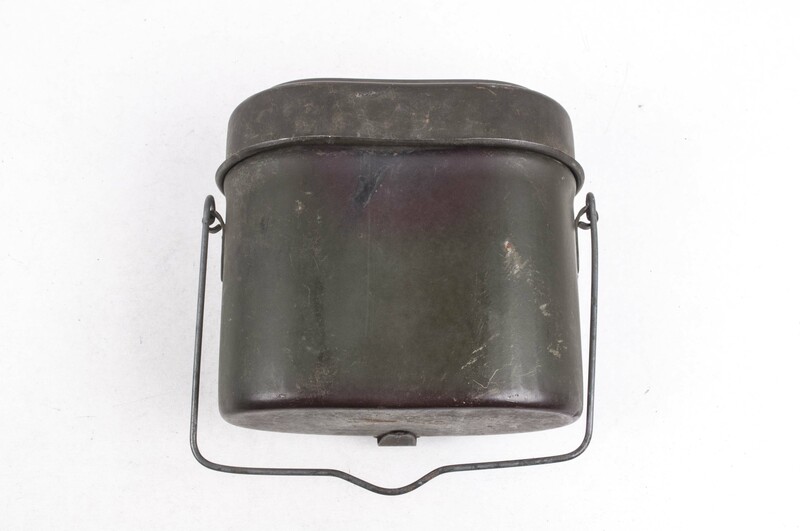 The messkit was a clever engineered piece of equipment capable of serving as a cooking or eating pot. 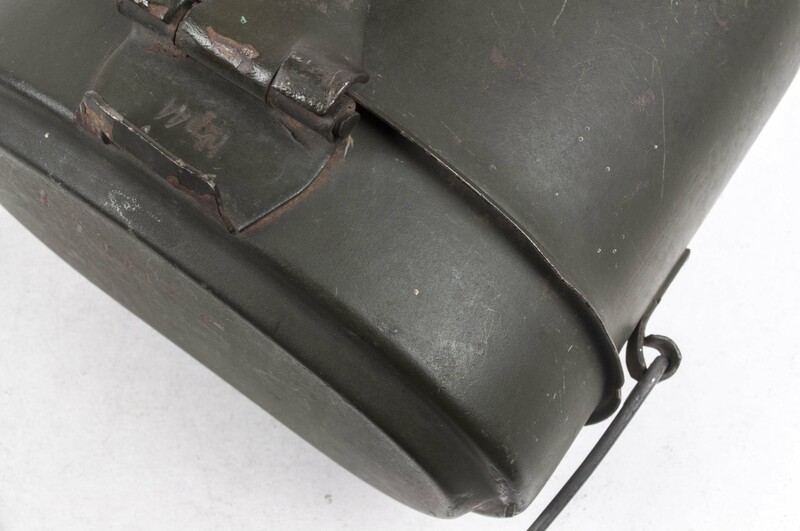 The early models also had indicating marks on the front, under the handle on which could measure the size of the contents. 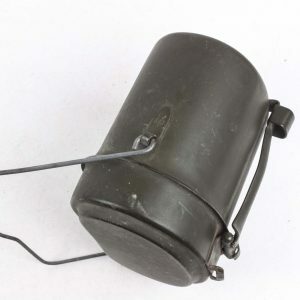 It had a cleverly placed wire handle on which the messkit could be hung above a fire. 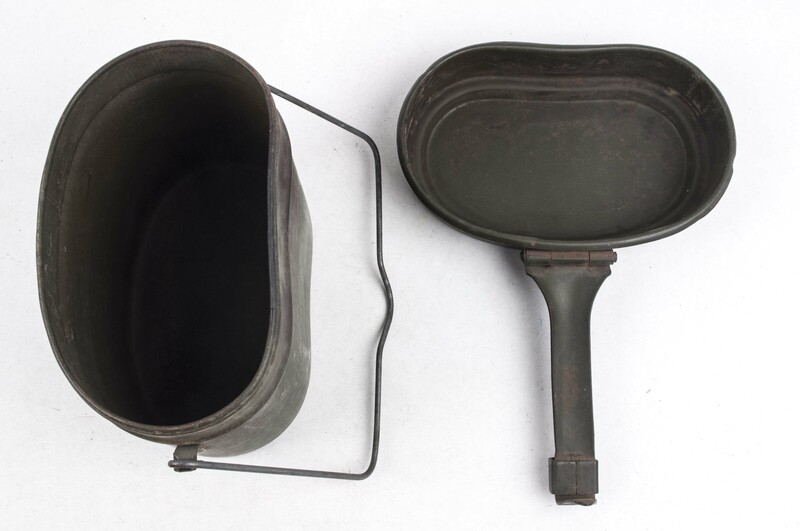 The messkits came in a big variety of colours and materials. 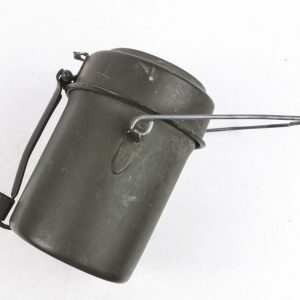 At first the messkits where nearly completely made out of aluminium except the wire handle. 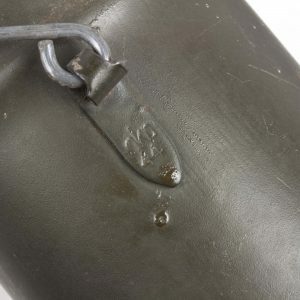 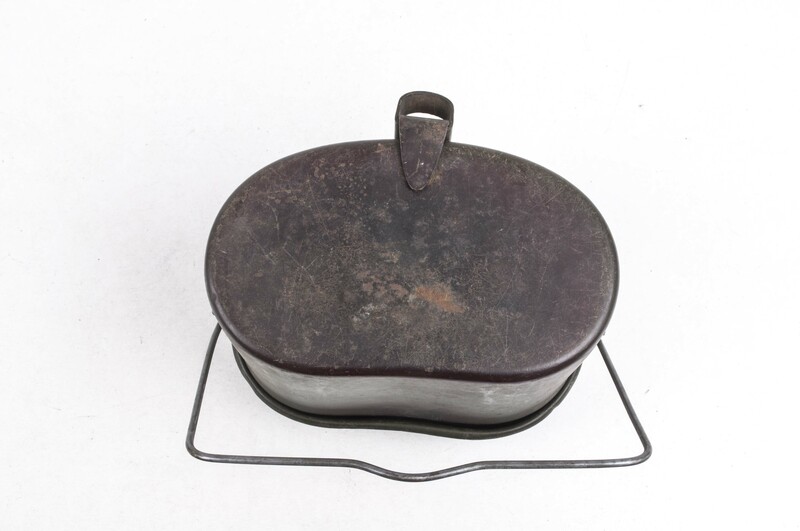 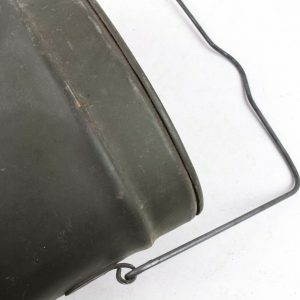 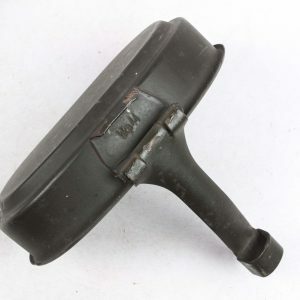 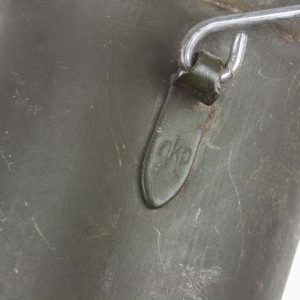 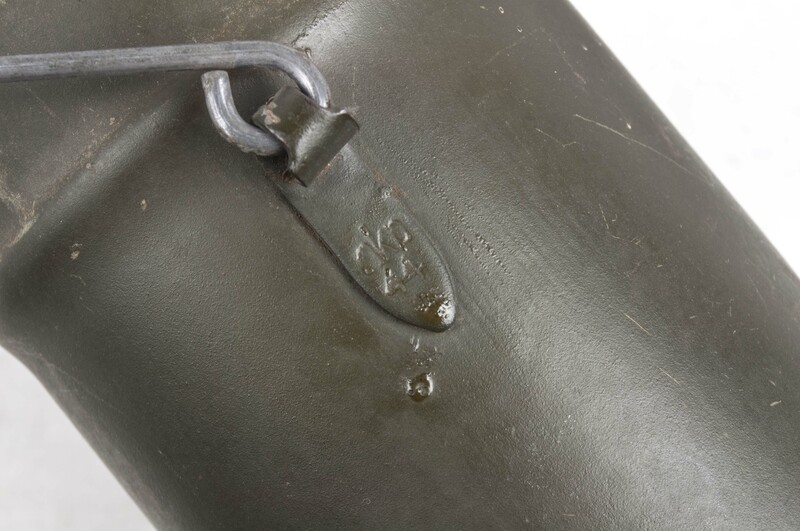 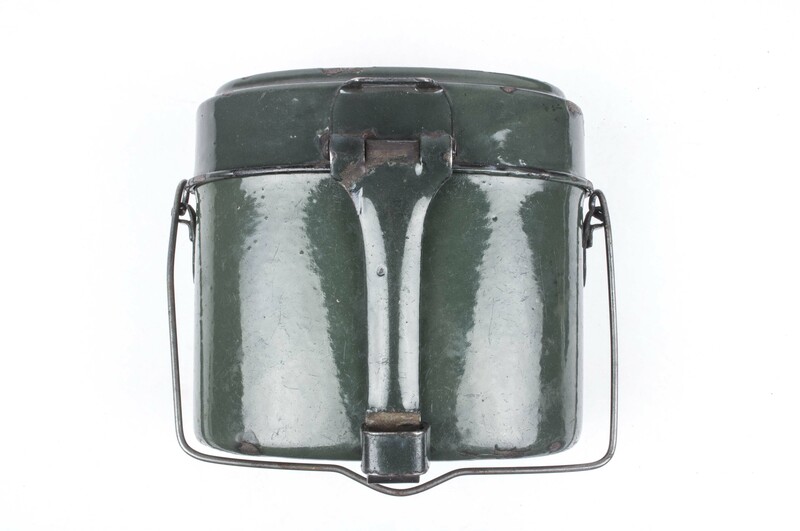 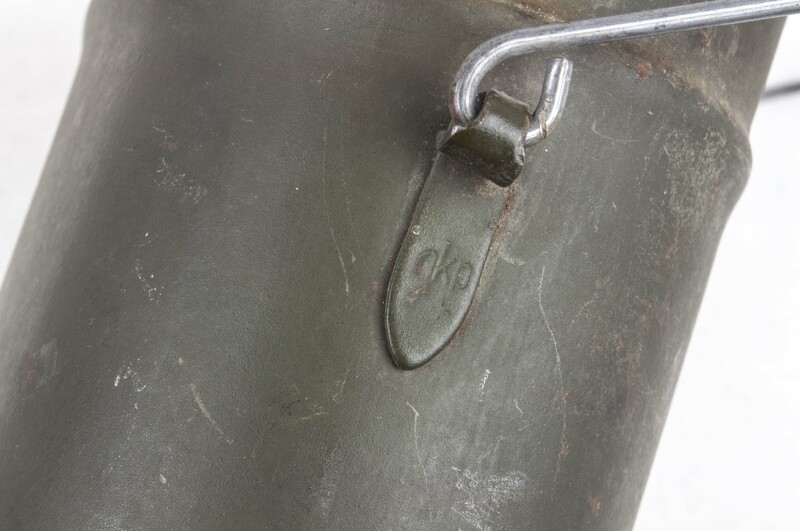 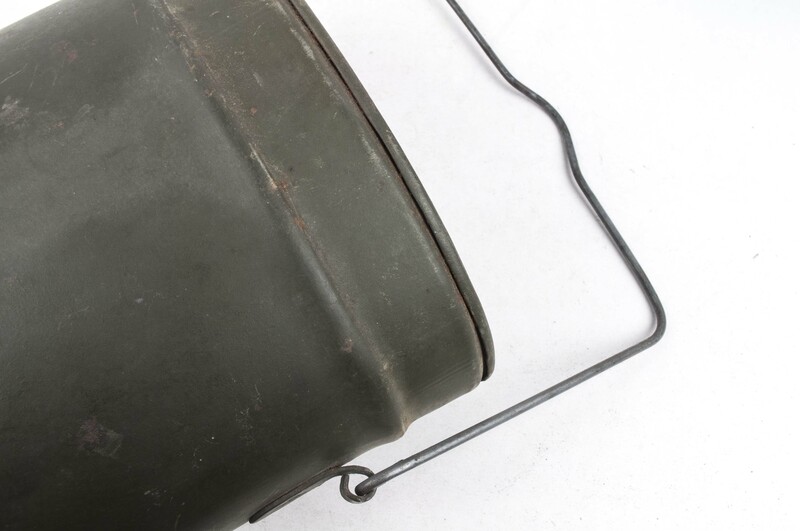 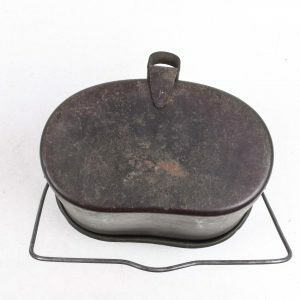 From around 1940 onwards the handle on the lid was made from steel. 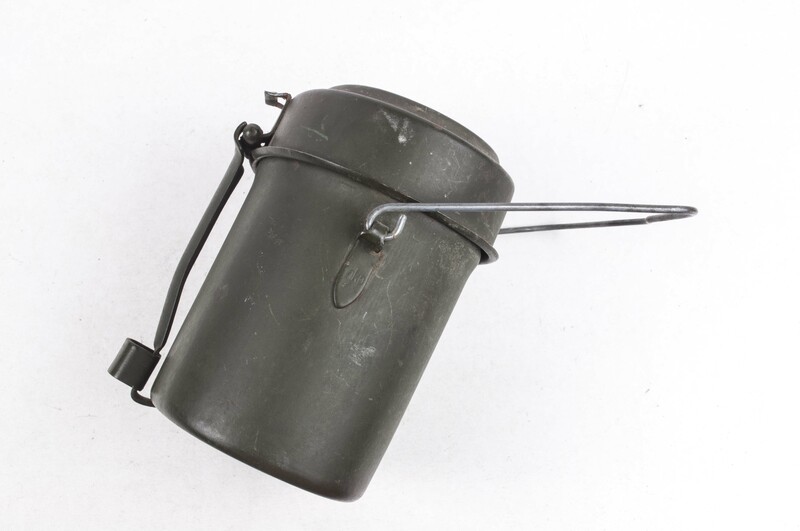 In 1942 the simplified steel model “Kochgeschirre M 42 (Eis. 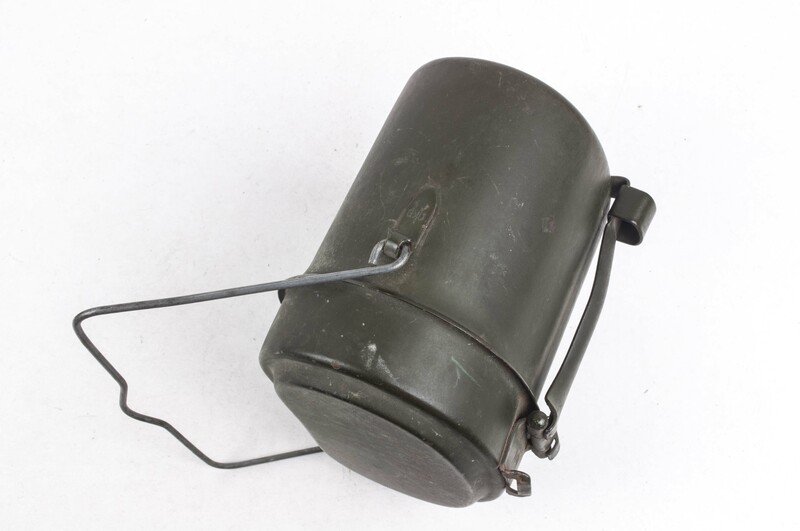 )” was introduced. 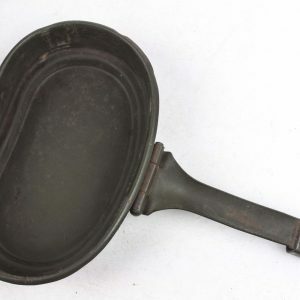 It had less and less well crafted details and the production became a hurry. 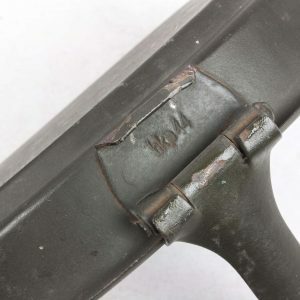 I found the designation “M42” in the production numbers of the German Industry. 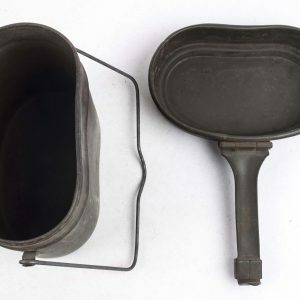 Maker: Sächsische Emaillier und Stanzwerke A.G.
Notes: This messkit was made at the Sächsische Emaillier und Stanzwerke A.G. 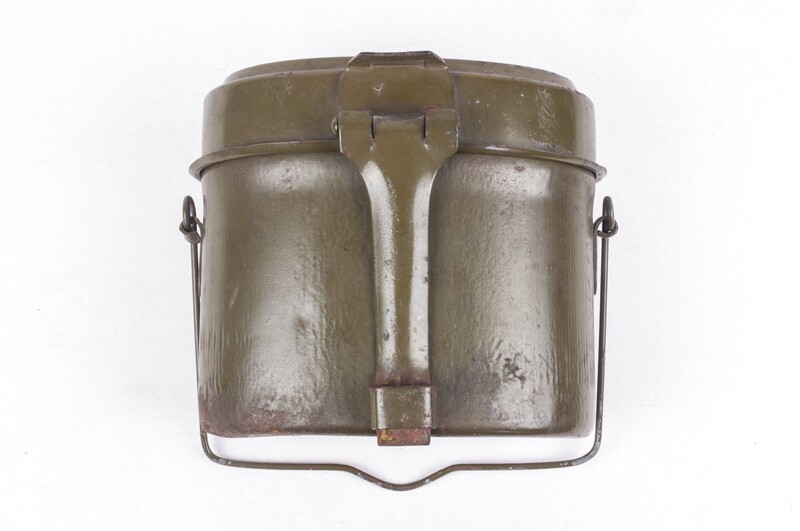 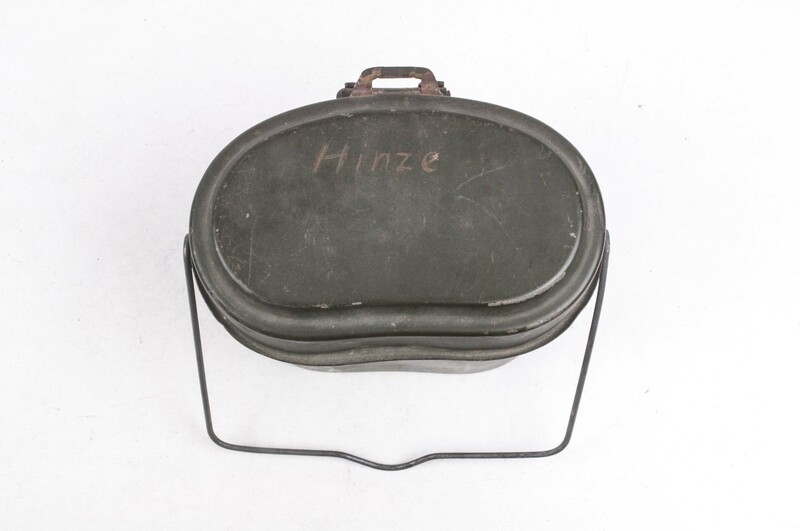 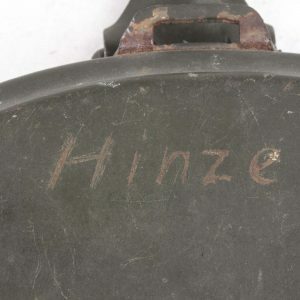 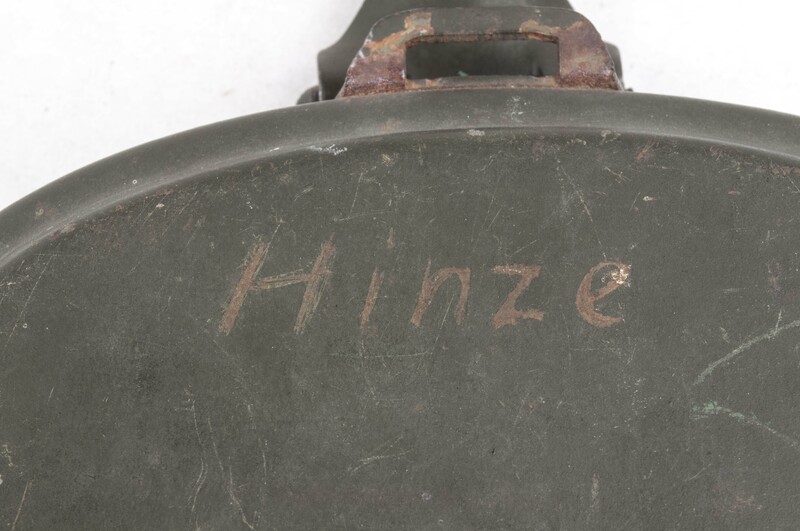 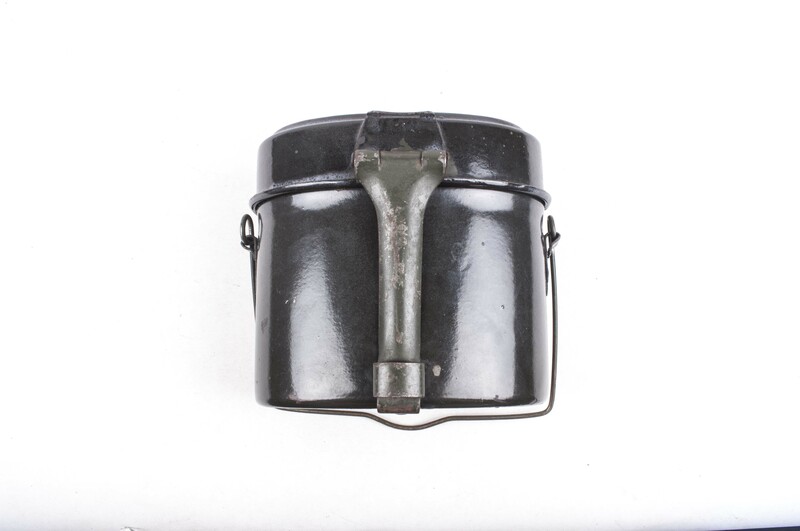 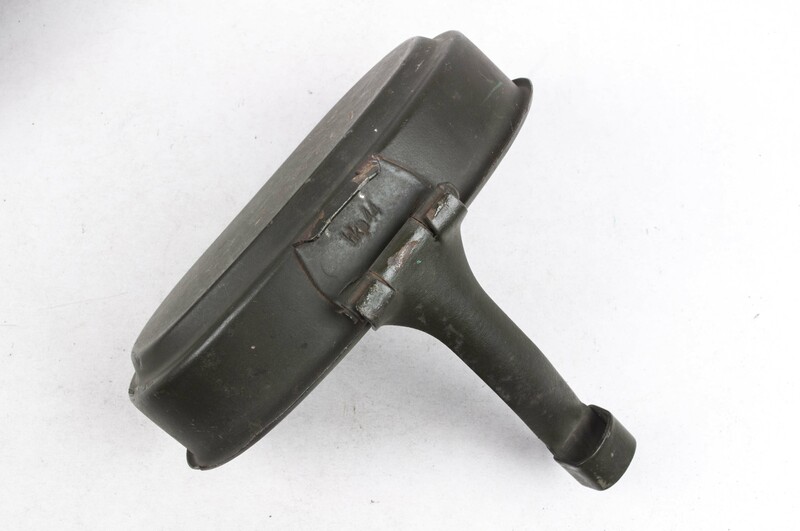 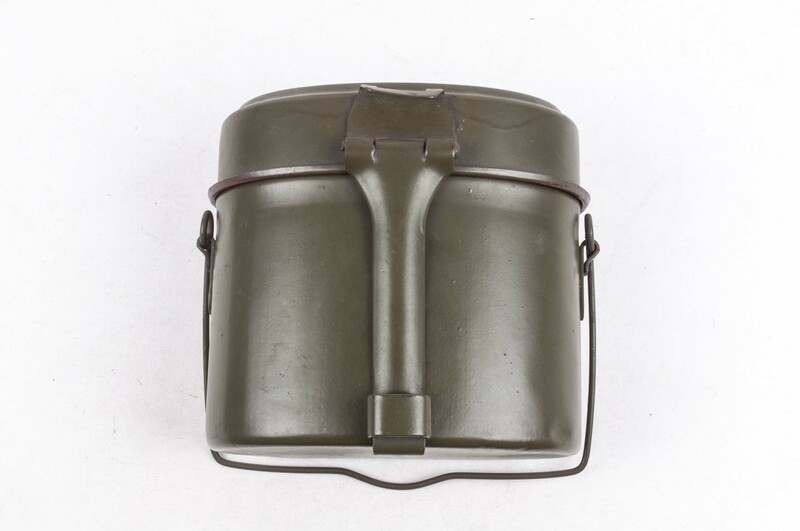 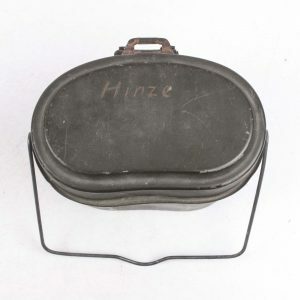 This maker is well known for producing German army helmets during the war. 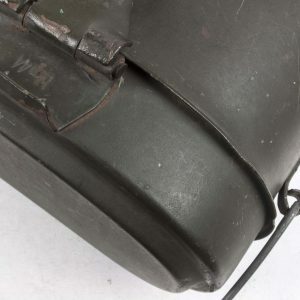 The paint used on the messkit is the exact same paint as used on the helmets made by this manufacturor.